If you haven’t taken advantage of this freebie yet there is still time! 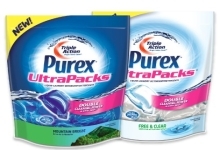 Sign up now with Purex to try their detergent for free! I like the liquid purex and wanted to try the drop ins. my aunt has been commenting about these for a while, i’ll like to try them.